Harriet Harman, Labour's deputy leader and shadow culture secretary, has praised the advertising industry and pledged to take an evidence-based approach to ad regulation. Speaking ahead of tomorrow’s Isba conference where she is due to outline a future Labour government’s approach to ad policy, Harman stressed her support for the industry. "Advertising is an £18bn British success story," she said. "It has been estimated that every £1 of advertising generates £6 for the economy. It employs directly and indirectly half a million people. "Consumers benefit from the competition on price that it promotes and also from the innovation in products that it drives. UK industry benefits from its promotion of UK sales and exports - the latter to the tune of £2bn a year. And Governments use advertising to promote important social messages," said Harman. Harman said there was a need to "react to research on the ill-effects of gambling, of alcohol, of poor diet and low physical activity, particularly where advertising is aimed at children" but pledged to act with "integrity" and work in partnership with industry to develop ad policies using sound evidence. "This will be the approach taken by all government departments," she pledged. She singled out the Advertising Standards Authority for praise, saying it has "steered a course" through political campaigns and "set boundaries where considerations of taste, decency and childhood must be balanced against commercial and creative considerations". Harman's comments strike a very different tone to those of Helen Goodman, the shadow culture minister, who earlier this year ruffled the feathers of the ad industry by appearing to blame the 2011 London riots on "excessive marketing". Ian Twinn, ISBA’s director of public affairs, said: "We welcome Labour’s clear appreciation of the important role that advertising plays in the UK economy. 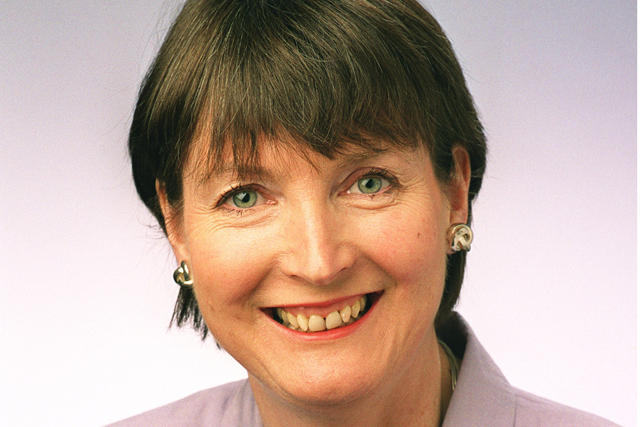 Harriet Harman respects the importance of evidence in underpinning any changes to ad regulation, which is good news for responsible advertisers who work within a strict but fair self-regulatory system." "Advertising is an £18bn British success story. It has been estimated that every £1 of advertising generates £6 for the economy. It employs directly and indirectly half a million people. Consumers benefit from the competition on price that it promotes and also from the innovation in products that it drives. UK industry benefits from its promotion of UK sales and exports - the latter to the tune of £2bn a year. And Governments use advertising to promote important social messages. Advertising revenue supports content in digital media, local and national TV, print and other media and creative industries. Advertising has been self-regulated by the Advertising Standards Authority for over 50 years. Legislation has changed, but the system of self-regulation has been shown to have worked. The ASA has responded to false claims arising from digital manipulation of artwork and attempts to promote illegal offences in new media; steered a course through highly political campaigns; and set boundaries where considerations of taste, decency and childhood must be balanced against commercial and creative considerations. Advertising policy can be highly charged. It is in the public interest to prevent harm and it is important for Governments to be able to use advertising regulation to influence behaviour. The history of cigarette advertising is salutary – early advertisements stressed the health benefits of smoking. Research showing the damage to health from smoking muted these claims and eventually advertising was banned altogether. We need to react to research on the ill-effects of gambling, of alcohol, of poor diet and low physical activity, particularly where advertising is aimed at children. We need to influence behaviour to protect the environment and keep people healthy. However we need to act with integrity. Advertising policies must be developed from sound evidence and in partnership with the advertising industry – and this will be the approach taken by all Government Departments. And in Government’s own advertising, we need to work with big and small agencies, including those based outside London, to get the best of British creativity. improve the way the government works with the advertising industry on government-purchased advertising."